Saturday, September 10 at 2:00 p.m. and 7:30 p.m. The origami paper crane became a symbol of peace because of Sadako Sasaki, the young girl who survived the atomic bombing of Hiroshima during World War II but died of leukemia ten years later. During her time in the hospital, Sadako and her friends folded one thousand paper cranes in accordance to the Japanese legend that says if you do so, you will be granted one wish. Sadako and her friends rallied together to make hundreds of birds from needle wrappings, medicine labels, and any paper they can find. Sadako’s wish may not have come true, but her story has been immortalized in books, films, and even museum exhibitions. She has also inspired Peace on Your Wings, an original musical starring a cast of Asian youths from Hawai’i performing original pop music with Japanese influences written by composer Jennifer Taira and lyricist Laurie Rubin, a blind opera singer who was recently featured in the Wall Street Journal. Produced by Ohana Arts, an award-winning non-profit performing arts organization whose mission is to promote world peace, the show debuted in Honolulu in 2014 and went on a statewide tour the following year. 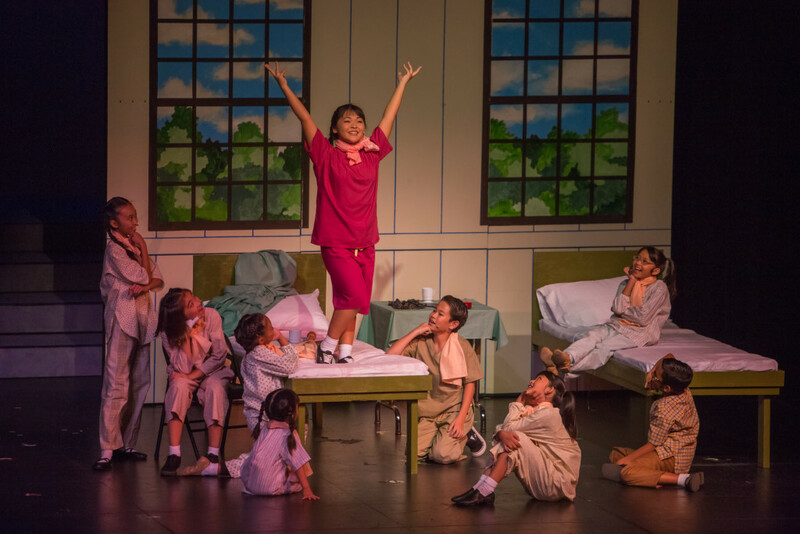 The production will have its New York premiere September 9 and 10 with three performances co-sponsored by the Japanese American Association of New York. The musical is an uplifting testament to how Sadako’s struggle inspired an international peace movement. Sadako’s classmates spurred the campaign to build the statue of Sadako that stands in Hiroshima Memorial Peace Park to honor the child victims of the World War II bombing. Today, people throughout the world continue to make origami paper cranes to express their hope for peace, with displays observed in such war-torn areas as Iraq. A special Peace on Your Wings VIP package is available for $250 and includes admission to the post-show VIP reception and one orchestra front seat ticket on Friday night. To purchase tickets, call 808.744.5501 or visit the Ohana Arts website.